Today I visited mega solar power plants at Yabuki Town and Nishigo Village. 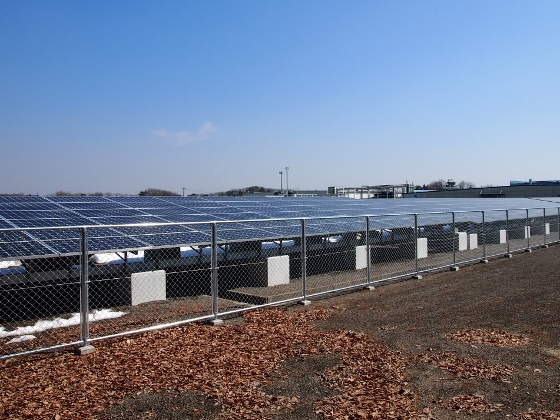 First was a mega solar power plant at Fukushima-Yabuki Plant of Rengo Co. in Yabuki Town. It generated 1.5MW of electricity which covered 450 households. They sold the electricity to Tohoku Electric Power Co. Please refer to the red asterisk 1 on the map for the location. 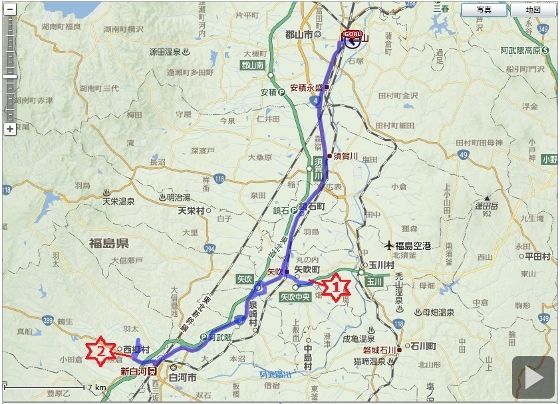 Above pictures show the mega solar power plant at Fukushima-Yabuki Plant of Rengo Co. Abukuma Kogen Road (toll road) passed nearby. 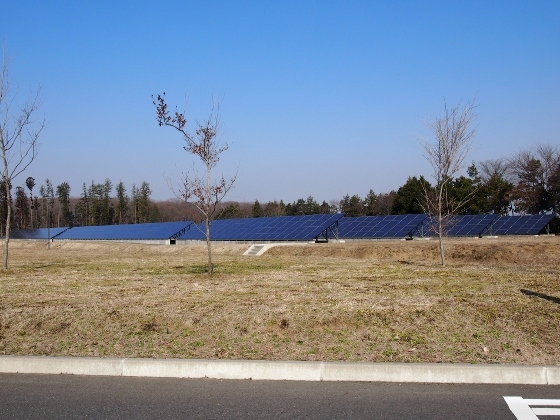 The next was a Shirakawa Mega Solar Power Plant by Elna Co. at Nishigo Village. It generated 1.9MW of electricity which covered 600 households. The company sold the electricity to Tohoku Electric Power Co. 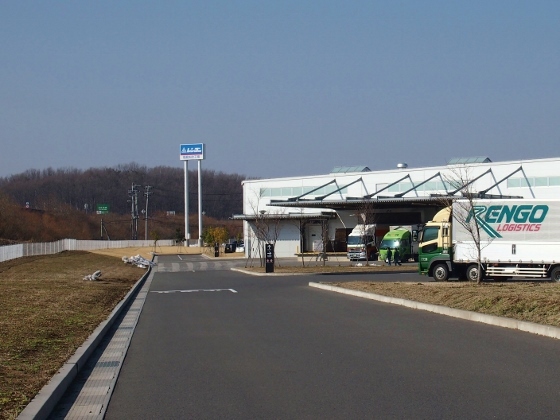 The plant was located inside Sugiyama Industrial Park near the border to Shirakawa City. Please refer to the red asterisk 2 in the map for the location. 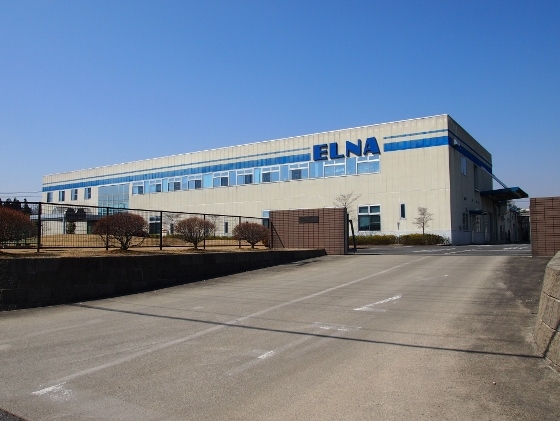 Above pictures show the Shirakawa Mega Solar Power Plant of Elna Co. The plant existed on a hill of height: 410m so as to receive enough sunlight. 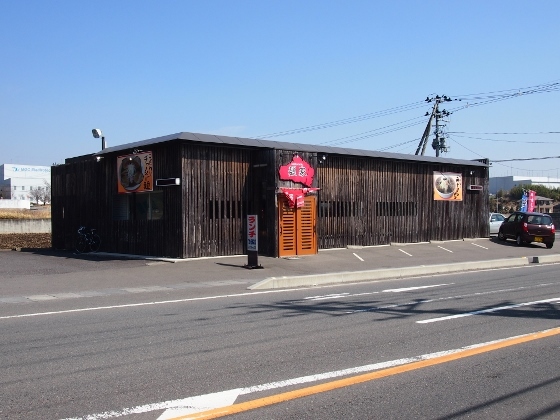 I found a nice looking Shirakawa Ramen restaurant at the entrance of Sugiyama Industrial Park as shown above. 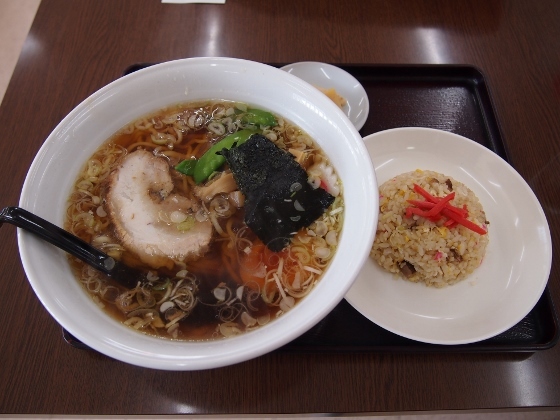 Today's lunch menu for 650 yen was good for me. I am planning the next renewable energy part 2 articles after this May featuring mainly wind power plants or wind farms.